There are so many things that make a Loeb Boathouse wedding magical. One of the things that I love the most is the Central Park Boathouse’s proximity to, well, Central Park itself. It's so helpful to have your wedding venue so close to such an amazing place to take your wedding day portraits! Situated in the middle of the park at 72nd Street, the Boathouse is right next to Bethesda Fountain and Bethesda Terrace. It’s excellent for weddings because you’re right next to amazing portrait locations without having to bus, cab or Uber elsewhere! Many locations in New York require permits to have your wedding portraits taken there, but the Loeb Boathouse area doesn't have those requirements. You are allowed to take portraits, even large groupings of family images, in the Bethesda Terrace area, with no required permit. This is yet another small detail that makes a Loeb Boathouse wedding super special. While there are gorgeous locations that are obvious choices, I always try to keep my eyes open for something off the beaten path. 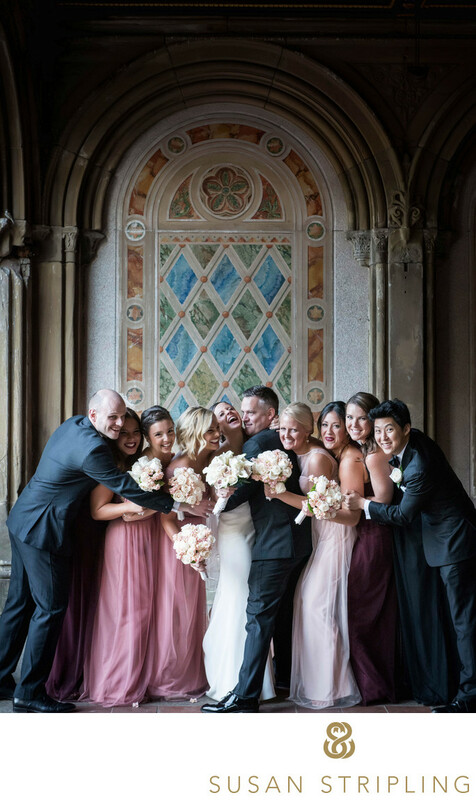 On this particular wedding day, I had already photographed the bride and groom at Bethesda Fountain, under the gorgeous arches of Bethesda Terrace, and along the Central Park Mall. 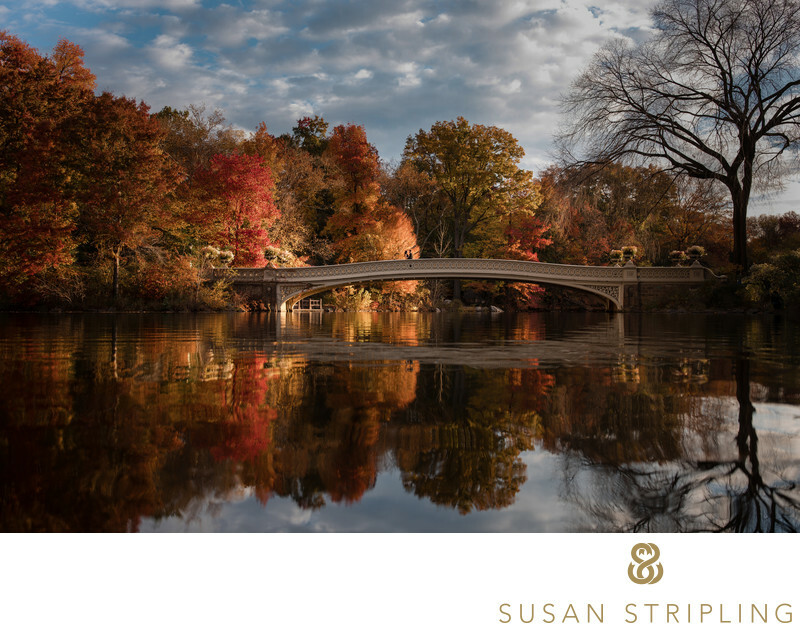 These are fairly typical locations for Central Park wedding pictures, popular because those locations are so picturesque! I love working my way through these photo spots, finding new little gems along the way. 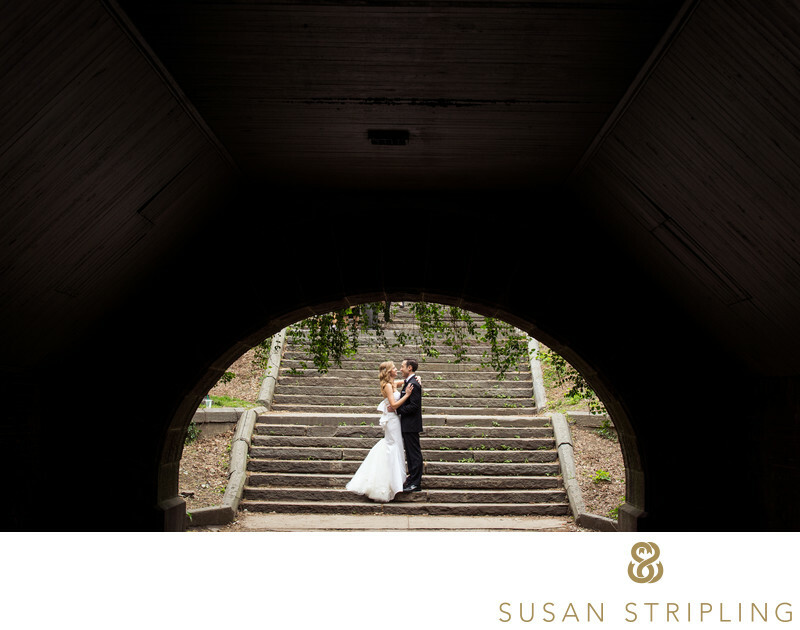 The light in Central Park is always so gorgeous, and it's so easy to find new places to take wedding day portraits. When we're taking your Loeb Boathouse wedding photographs, expect the unexpected! We will chart the course of where we want to go in Central Park for your portraits, but we will also seek out little known locations along the way! 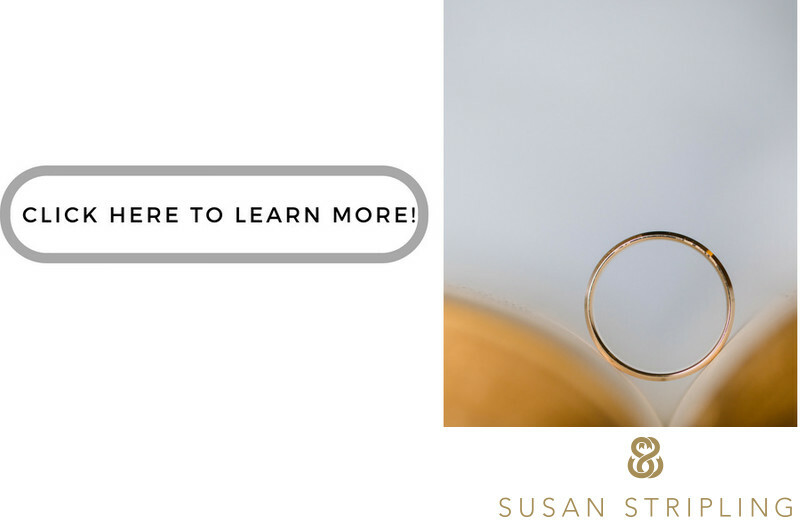 This will ensure that your wedding day pictures don't look like everyone else's! On our way back to the Loeb Boathouse to take a few more family portraits, I found this wonderful walkway and bridge (seen all the way at the top of this page). I loved the light under the bridge, and also on either side of it. I also loved how the horizontal steps contrasted nicely with the curved dome of the roof. Mostly, I really love this couple. The bride and groom are the brightest, kindest, sweetest people, and are so loved by their family and friends. It was an honor to document their day! If you have any questions about Central Park, or your wedding at the Boathouse, get in touch! I'd love to hear from you. 1/400; f/5.6; ISO 2200; 70.0 mm.